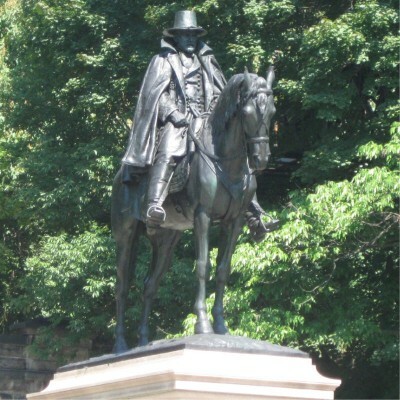 This sculpture, which depicts General Grant surveying a battlefield, was dedicated on April 27, 1899 to coincide with the 77th anniversary of Grant's birth. 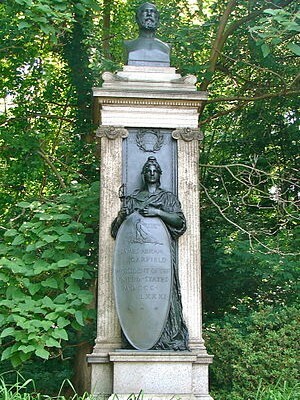 Following the assassination of James A. Garfield in 1881, the Fairmount Park Art Association (now the Association for Public Art) established a fund to commission a fitting memorial. 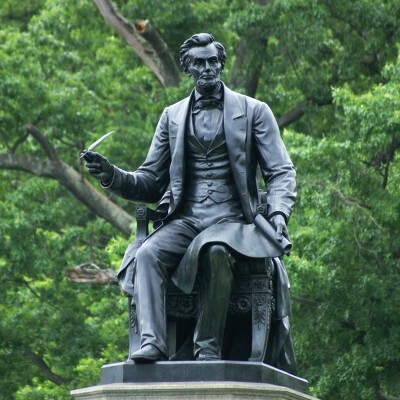 Created by sculptor Randolph Rogers and installed in 1871, President Abraham Lincoln is memorialized here sitting with a quill pen in hand, signing the Emancipation Proclamation. 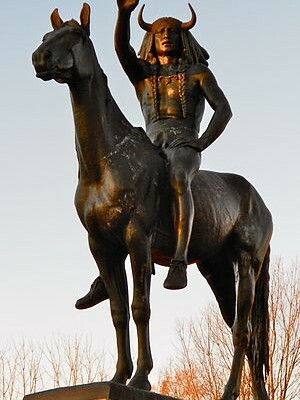 "The Medicine Man" is one of four American Indian sculptures designed by the artist. 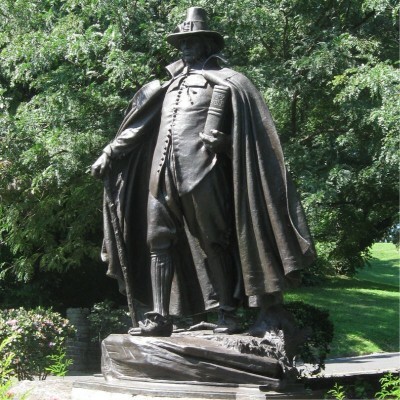 "The Pilgrim" is a replica of Saint-Gaudens' "The Puritan" located in Springfiled, MA, but with changes to the dress and facial features. Installed in 1972, the work of Swedish-born artist Carl Milles are casts from a group of five originals from the Millesgarden in Stockholm, where they overlook that city’s harbor. 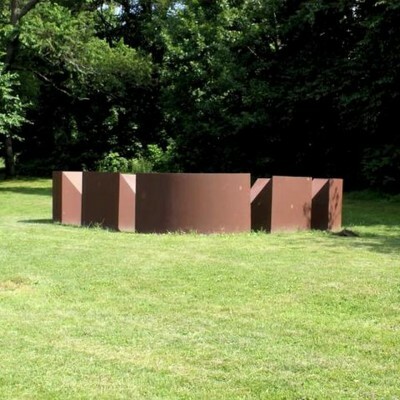 Commissioned by the Fairmount Park Art Association (now the Association for Public Art), "Stone Age in America" was relocated in 1985 to a site on Kelly Drive to correlate with other sculptures "emblematic" of American history. Standing in mysterious convocation, the eight wedges form a rounded square on the grass. 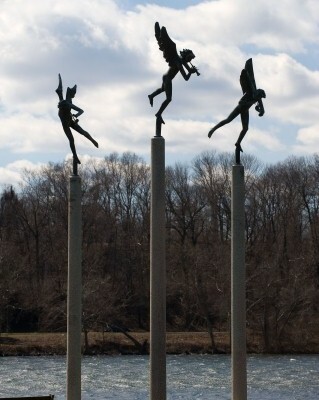 The sculpture was installed along Kelly Drive in 1985. 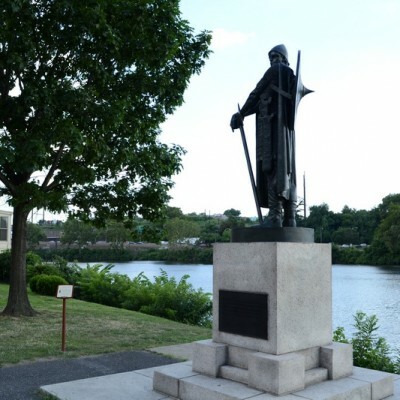 Thorfinn Karlsefni was said to have visited America’s shores as early as 1004. J. Bunford Samuel invited the Icelandic artist, Einar Jonsson, to create a sculpture of the icelandic hero. 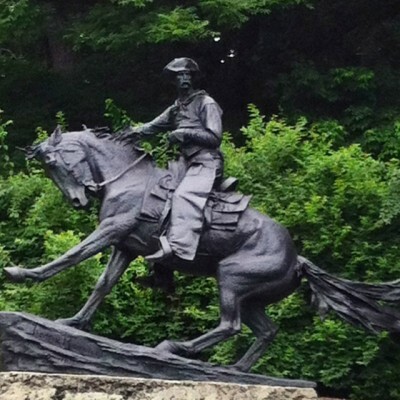 Installed in 1908, this sculpture by Frederic Remington is one of the country’s earliest examples of a site-specific work.